A treatment that is injected into muscles and used to temporarily improve the look of moderate to severe forehead lines, crow’s feet lines, and frown lines between the eyebrows in adults. A thicker, plumping formula which is perfect for adding volume to the body of the lips or deeper facial folds. 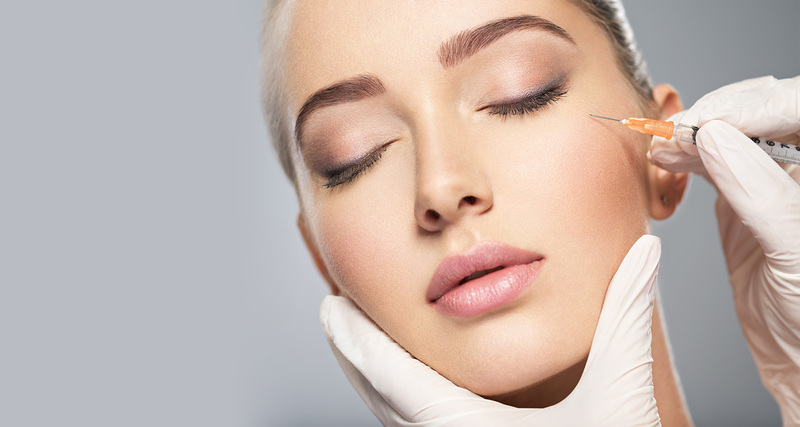 A filler used to add volume to the chin, cheeks, and cheekbone. Voluma has been clinically shown to last up to 2 years. A new dermal filler injectable product for the lips and peri-oral area. Designed not only for gentle restoration of natural looking lip volume, it can also be used for defining lip contours, treating oral commissures, smoothing fine ‘barcode’ lines around the lips and supporting the ‘marionette’ lines down the chin. B12 fat burner and B- complex energy/metabolic boost . This has multiple beauty benefits such as enriching Hair, skin, and nail regimens. improve energy, metabolism , and concentration . Shots may be administered every 72 hours. First shots will be administered on-site with purchase of injection(s). Instruction will be given to client on how to administer injections at home. If client opts for injection on-site, a $20 fee will be assessed per shot, per vist.